I've been asked several times to help my clients change from a MAPD to a Medigap plan. Medigap policies are also known as Medicare Supplement Policies. What if you discover that you don't like your Medicare Advantage Plan (MAPD plan)? Medicare Advantage Plans aren't for everyone. Sometimes people don't like being restricted to network doctors or for some reason or another want to change to a Medicare Supplement Plan (Medigap). 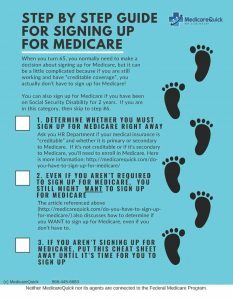 Below are the instructions on how to change from a MAPD to Medigap plans with Medicare. Keep in mind that you may have to go through medical underwriting in order to make a change. Because of this, you'll want to make sure that you really want to change from a MAPD to Medigap plan. Additionally, most Medicare Supplement plans are going to have a higher premium than what you will pay for a Medicare Advantage plan. There are some Medicare Supplement plans, such as high deductible Plan F, that are very reasonably priced, but you will need to pay a high deductible, ($2160 in 2015) before the benefits begin. Determine if you really want to make a change from a MAPD to a Medigap Plan, or if you just want to change to a different MAPD plan. Some MAPD plans offer PPOs which allow you to go to any doctor for a higher co-pay. Determine if you have a Guaranteed Issue Right, or whether you will need to go through Medical Underwriting. We encourage you to work with a broker to make a change to a Medigap plan (also known as Medicare supplement plan). If you don't have a broker, you can us a call at 866-445-6683, since we broker many Medigap policies for our clients. If you are not in our coverage area, we may also be able to help find you an agent in your state. It's much easier to change from an MAPD to a Medigap plan if you are working with someone who has experience in this area. Purchase the plan. You will need to go through medical underwriting unless you qualify for guaranteed issue. Purchase a standalone drug plan. This is very important so that you do not get penalized. Medicare Supplement Policies do not include drug coverage. Cancel the Medicare Advantage plan. If you are using your trial right you can do this any time but will want to wait until your new coverage has been issued. Medicare Advantage does not work with Medicare Supplement policies. Important: Do not cancel your Medicare Advantage plan until you have a Medicare Supplement plan in place. Contact us now to get help with how to change from a Medicare Advantage to Medigap. We can help. *This article is for informational purposes only. It is not intended as legal or financial advice. 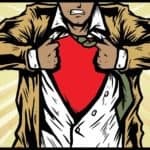 For help with your personal situation you should seek advice from a competent insurance broker who works with Medicare insurance policies and for help with how to change from Medicare Advantage to Medigap please feel free to give us a call.